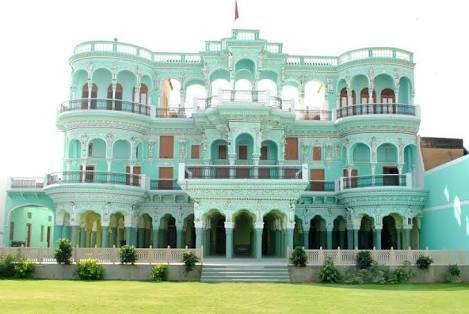 Malji Ka Kamra(Churu); As Experiential Heritage Haveli! We love saying that Shekhawati is not just about seeing its great havelis (mansions) and their fresco paintings. Unlike the princely palaces and forts, the heritage of Shekhawati belongs to its people – the Marwari merchants. the Churu experience is about the people – the merchants, the artisans, the farmers, the workers and so many more like us. Knowing these people, their stories, their lives is what makes it special. 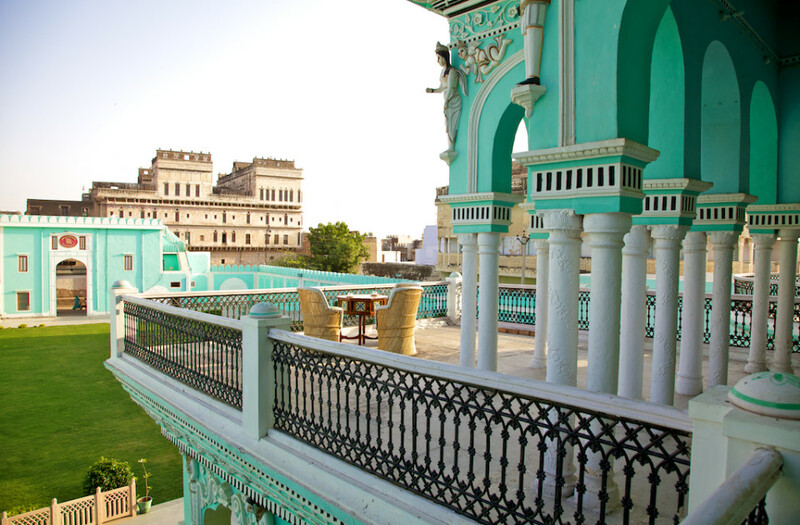 It is a meticulously restored 1920 Shekhawati Haveli with colonial pillared architecture, Italian art-deco influences, Mughal arches and handmade fresco paintings. Malji Ka Kamra is family-run, personalized and authentic to take you back to the era of Marwari traders and live their stories. They serve freshly cooked, simple Indian food and has a large, garden with plenty of sunshine and a number of cosy nooks and corners in the property to allow guests their personal space. A number of out of property activities are arranged including walks, crafts, safaris and evening trips to the desert for sunset and bonfires. ← Ranthambhore National Park; The fortieth largest national park in northern India!